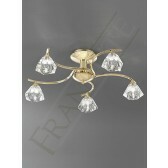 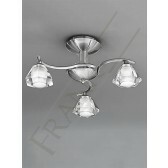 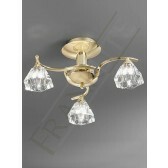 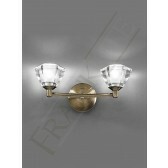 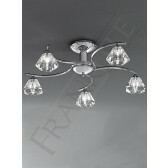 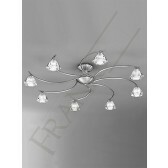 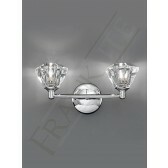 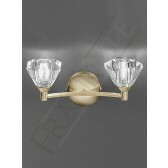 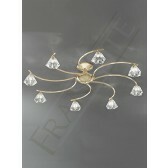 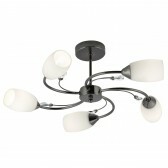 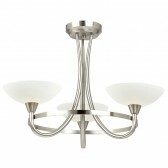 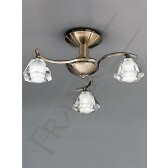 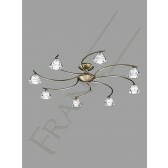 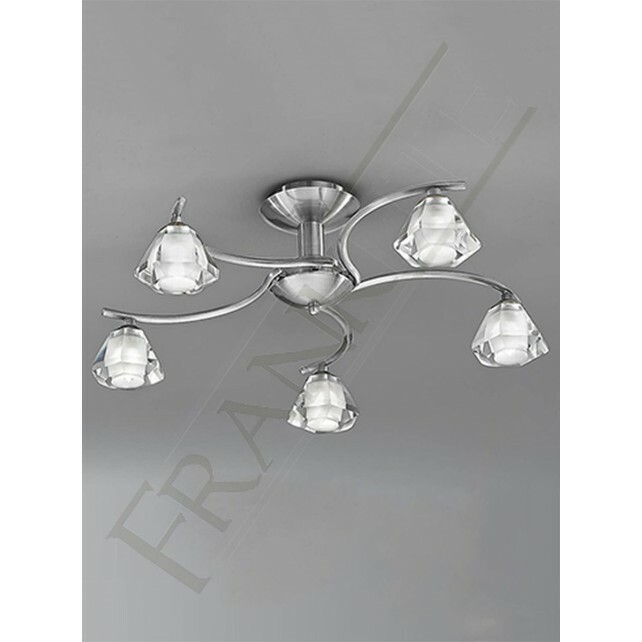 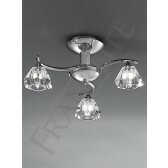 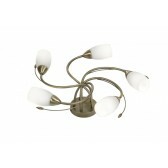 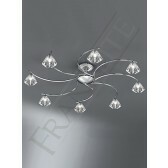 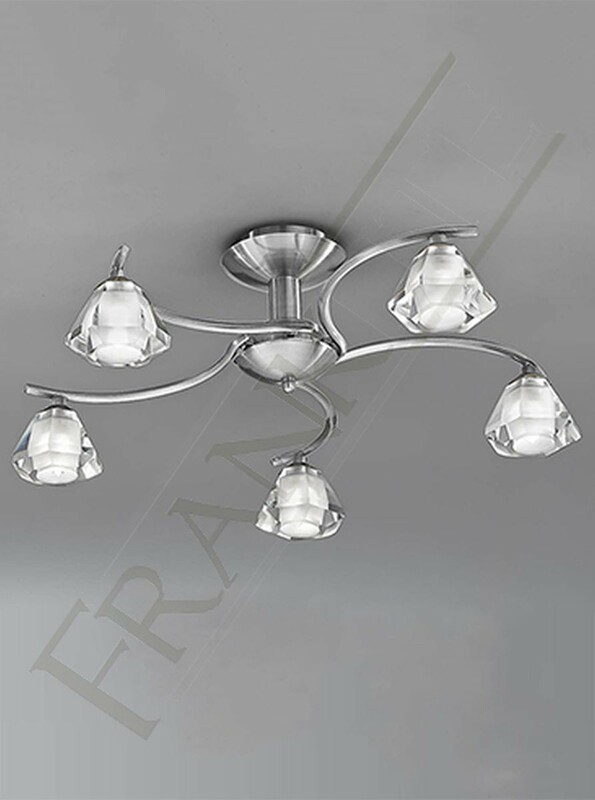 This semi flush ceiling light a part of the Twista range by Franklite showing a simple, decorative lighting feature. 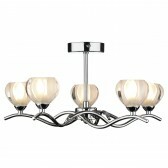 Showing a smooth satin nickel finish the desin shows 5 curving arms each holding a crystal glass with an effective frosted inner. 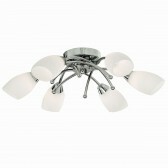 This light will certainly provide a great lighting output wherever its placed around the home. 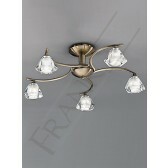 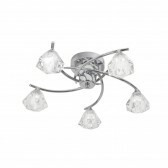 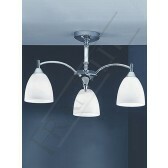 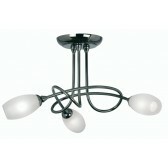 Works well with both modern and traditional interiors the light uses halogen efficient lamps. 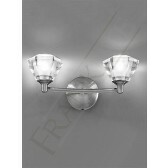 Other fittings from this range are also available, see related items for more details.